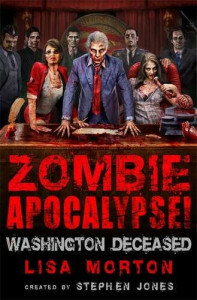 Zombie Apocalypse: Washington Deceased is one of two forthcoming novels that tie into the Zombie Apocalypse anthology series edited by Stephen Jones (the other novel will be Zombie Apocalypse: Horror Hospital by Mark Morris). 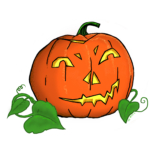 Zombie Apocalypse: Washington Deceased is a tale of horror and political intrigue. As the United States attempts to recover from the devastating aftermath of a zombie uprising, Secret Service Director Sandra Steele tries to protect the new President from both the undead and the machinations of rival politicians and ruthless corporations. Meanwhile, a young man named Kevin Moon makes his way across the great American wasteland…and discovers along the way that he may be the most valuable man on earth. Available now in electronic formats. Coming September 2, 2014 in print form. Check out the official Zombie Apocalypse website! Zombie Apocalypse: Washington Deceased at Constable & Robinson’s website.